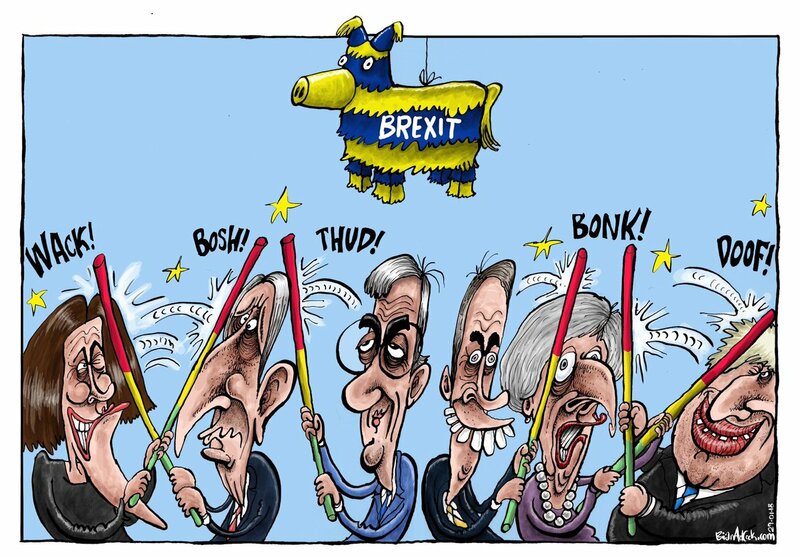 Tory MPs are back from their summer holidays, where no doubt they managed to fit in a good deal of plotting, over Brexit and the immediate future of the prime minister Theresa May. Now they are back though, the in-fighting has already gone up several notches, with the European Research Group (ERG) of hard Brexit Tory MPs finally launching their alternative plan. Much of it has already been ruled out by the European Union (EU) though, but the intention is to kill off the prime minister’s Chequers Brexit plan, as much as anything else. Take it or leave it, in other words. But this won’t phase the ERG MPs, who would rather have a no deal Brexit than the Chequers deal. Meanwhile, Tory MP Nick Boles, from the pro-soft Brexit wing of the party, has outlined his alternative to the Chequers plan, which is joining the European Economic Area (EEA), ‘at least on the way to some kind of Canada style deal.’ More broadly, pro-soft Brexit Tory MPs are beginning to get organised, for the expected punch up in the party over the next few months. There is certainly a good chance that the Chequers plan will not get through Parliament, with Labour saying it will vote against the deal, even before the EU has wrought some expected concessions out of the British government. So, Boles has a point, Chequers looks to please no one, and as there is no majority in Parliament for no deal, what then? ‘The EEA not only delivers Brexit by being outside the jurisdiction of the ECJ and, for that matter, the Common Fisheries Policy and the Common Agricultural Policy. Norway and co also have input to single market legislation via the decision shaping process. They have rights of adaptation. And, in extremis, right of veto. …George Yarrow, an Oxford University economist (and intellectual father of Better Brexit), estimates Britain’s net payments to the EU would fall from £9 billion to around £1.5 billion (per year). I’ve written before that joining the EEA is the most sensible thing to do, other than remaining in the EU. It may be the only viable option if Chequers and no deal are ruled out by Parliament. The only other option is to extend our stay in the EU, which worries some pro-Brexit members of the Cabinet, like Michael Gove. There has been talk of toppling Theresa May from elements of the ERG, but even if they managed to do this, and replace her with a hard Brexit MP, like Boris Johnson, the make up of Parliament would remain the same, unless a general election is called to change this composition in the House of Commons. Even then, the Tories might lose the election, and so be in an even weaker position than they are now. And there you have it. The Tories are a (deeply) divided party over the terms of Brexit, with no easy way that I can see of resolving their differences. Unfortunately, for the rest of us, while they indulge themselves in this carnival of self-destruction, the country faces the possibility of chaos.